China Eastern Air Holding Co has sold part of its freight business to four private firms. The State-owned parent company of China Eastern Airlines revealed the news on Monday as it stepped up efforts to diversify its holdings. "The move to sell part of Eastern Air Logistics Co will help to transform it into a comprehensive logistics provider," said Lin Zhijie, an aviation industry analyst and columnist at carnoc.com, one of China's largest civil aviation websites. 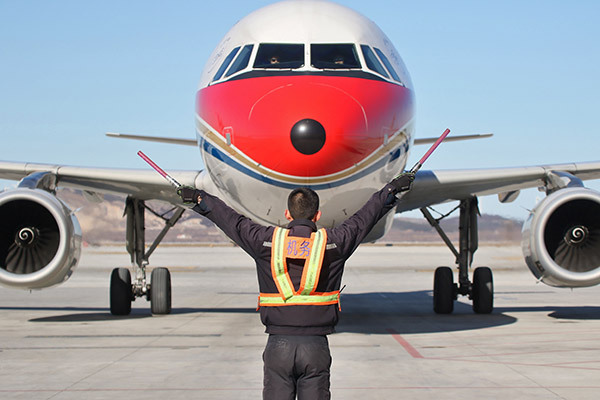 China Eastern signed a capital increase agreement and shareholder document in Shanghai with Legend Holdings Corp, Global Logistic Properties Ltd, China Deppon Logistics Co Ltd and Chinese real estate developer Greenland Holdings Corp.
China Eastern Air Holding will retain a 45 percent stake in Eastern Air Logistics Co, while Legend Holdings, GLP, Deppon and Greenland will hold 25 percent, 10 percent, 5 percent and 5 percent, respectively. The remaining 10 percent will be held by Eastern Air Logistics' employees, it said. Detailed financial terms have yet to be disclosed. Lin said that enabling employees to hold shares in the freight company was a highlight of China Eastern Air Holding's diversification policy. "It will help to tie the economic interests of employees to the company's profits," Lin said. "Employees will consider more about the company's benefits when they make decisions." The deal means up to 2.26 billion yuan ($332 million) will be pumped into the freight business, according to the terms of the agreement. The asset-liability ratio of Eastern Air Logistics will also be lowered to 74 percent from 87.86 percent. "Logistic firms of major airlines have been experiencing losses, and China Eastern hopes to revitalize the business through this plan," Lin said.